The University of Missouri Women's Basketball Team is the October Community Service Team of the Month. This month the team volunteered with the University of Missouri Children's Hospital, Grant Elementary School and the Columbia Catholic Schools Read-A-Thon. Team members have also helped clean up the MU Sports Park, interacted with children at Mill Creek Elementary and helped at the Columbia Humane Society. Congratulations to the Women's Basketball Team! One day removed from earning Big 12 Player of the Week, Tiger senior Paola Ampudia (Cali, Colombia) was named the Sports Imports/American Volleyball Coaches Association (AVCA) National Player of the Week, as announced by the AVCA on Tuesday (Nov. 9). Ampudia is the fourth Tiger to win the award and is the first since Jessica Vander Kooi took home the award on Sept. 25, 2006. She is also the first player from the Big 12 to take home the award this season. "I am very happy for Paola," head coach Wayne Kreklow said. "I think it speaks volumes to the type of athletes that we have in our program here at Mizzou. It think is also speaks a lot to the way that Paola has played in the second half of the season so far; her all-around game has come so far. It is also nice to see such a good person win this award." "Obviously it is a great honor for me, but I think it speaks more to how well we are playing as a team right now," Ampudia said. "I just try and do my best every time we play and I do everything that I can to help our team win. I am happy that I received this award, but I am even happier that people are starting to take notice to how well we have been playing as a team." Ampudia averaged 5.38 kills per set on .265 hitting last week while helping Mizzou to a pair of road wins over Colorado and No. 12 Iowa State. The Tiger senior began her week by posting 21 kills on .278 hitting with 14 digs at Colorado, good for her seventh double-double of the season. The 21 kills in the match also equaled her total from her previous two matches combined. After a great performance at Colorado, Ampudia upped the ante at No. 12 Iowa State as she posted 22 kills in the match on .254 hitting to go along with 11 digs for her eighth double-double of the season. Her 22 kills were a key reason why the Tigers were able upset No. 12 Iowa State. In fact, the upset was the Tigers' first win over a top 15 team since 2006 and was also their first road win over a top 25 team since 2006. The back-to-back 20-kill efforts mark the first time this season that Ampudia has done so, despite leading the team with 367 kills and five 20-kill performances this season. Her defense was also a key reason for the Player of the Week honor as she pulled in 3.12 digs per set while committing just one error on 32 service receptions. Ampudia and the Tigers will look to extend their winning streak to five straight and seven of their last eight when they welcome Texas Tech (3-21, 1-14 Big 12) to the Hearnes Center on Wednesday. For all the latest on Mizzou volleyball, stay tuned to MUTigers.com. 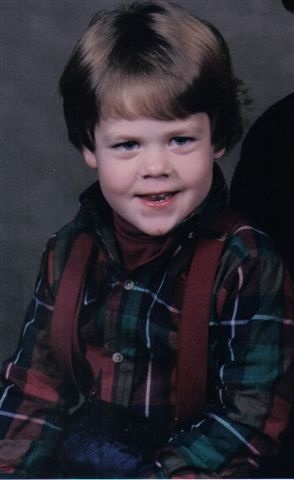 Guess who this current Mizzou student-athlete is! The Mizzou volleyball team upset No. 12 Iowa State, 3-1 (19-25, 26-24, 25-22, 26-24), for their first win over a top 25 opponent this season on Saturday night at Hilton Coliseum. The win for the Tigers is their fourth straight and sixth in their last seven matches. The only team to beat Mizzou in its last seven was No. 3 Nebraska as Mizzou improves to 17-8 overall and 9-6 in Big 12 play. The win was also the Tigers' 10th away from home this season.Senior Paola Ampudia (Cali, Colombia) led Mizzou with 22 kills on .254 hitting while classmate Julianna Klein (Keota, Iowa) pitched in 16 kills on .224 hitting. For Ampudia, the 20-kill effort is her second of the week and gives her 43 kills on .265 hitting this week. Iowa State also had no answer for senior middle hitter Catie Wilson (Omaha, Neb. ), who posted 11 kills on 30 errorless attacks. Mizzou won the match despite being out-killed, out-hit, out-dug and out-blocked as Mizzou's six service aces were a huge factor in the win. Senior libero Caitlyn Vann (Muncie, Ind.) continued her fine play as of late as she pulled in 24 digs in the match while Priscilla Armendariz (Blue Springs, Mo.) pitched in 13, giving her more than 10 in each of the last two matches. For Vann, her 24 digs on Saturday gives her at least 20 digs in three of her last four matches. Ampudia also pulled in 11 digs, giving her a pair of double-doubles on the week. Freshman setter Molly Kreklow (Delano, Minn.) spread 47 assists in the win as well. Mizzou struggled in the first set as it hit just .026 with only seven kills as it dropped the first, 25-19. Eight attack errors and two service aces from ISU are what kept Mizzou in the set, but three Tigers hit negative in the first and the Tiger attack struggled throughout the set. Iowa State corralled 22 digs in the first, helping limit Mizzou to just .026 hitting. The Tigers looked much sharper in the second set as they jumped out to a 15-9 lead riding the arm of Klein. But the Cyclones rode their home crowd to knot the score at 22. Mizzou ran off two points after that, only to see ISU rally to knot the score at 24. 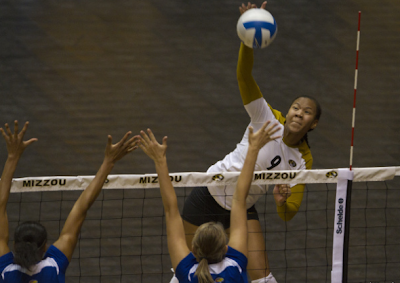 But from there, Klein took over and tallied back-to-back kills to give Mizzou the second, 26-24. Through two sets, Klein led Mizzou with nine kills while Wilson pitched in four on 13 errorless attacks. Mizzou had 16 kills in the second set, nine more than it had in the first as it hit .250 in the frame. Mizzou's offense continued to click in the third set as it tallied 18 kills on .295 hitting as it won the third, 25-22. Ampudia led Mizzou with seven kills on .400 hitting in the set while Klein pitched in five kills. Mizzou struggled to slow Iowa State in the set as the Cyclones tallied 15 kills in the frame, but Mizzou was three better, which proved to be the difference in the set. Despite having momentum from winning the third, Mizzou fell behind 8-1 early in the fourth but rallied to win the set in extra points, 26-24. The comeback from down seven is the Tigers' largest single-set comeback this season and it helped Mizzou claim its first win over an AVCA Top 25 team this season. Mizzou will look to win its fifth consecutive match when Texas Tech will play at the Hearnes Center this Wednesday at 6:30 p.m. For all the latest on Mizzou volleyball, stay tuned to MUTigers.com.